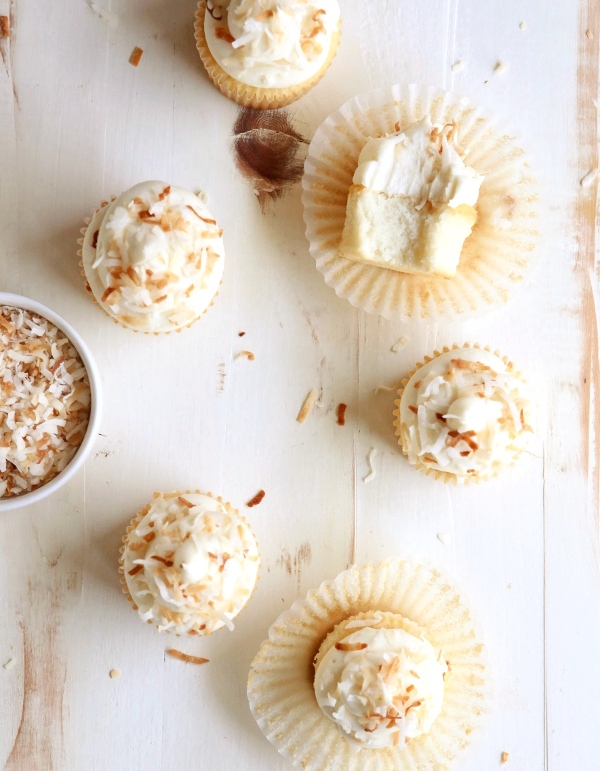 Light in texture but heavy on flavor, these coconut cupcakes topped with billowing cream cheese frosting are one of my all-time faves. I am such a sucker for a cupcake piled high with sweet buttercream frosting. I don’t really discriminate when it comes to my sweet tooth, but if given the choice, I might pick a cupcake every single time. Is that cliché? Unoriginal? Maybe, but I don’t really care. To me, an indulgence just doesn’t get much better. 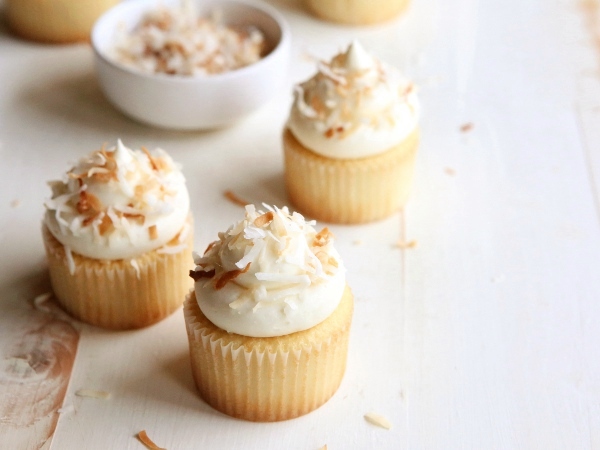 The recipe for these cupcakes is borrowed from my ever popular southern coconut cake. 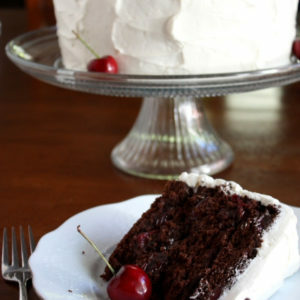 If you haven’t tried the cake yet, I can’t recommend it enough. 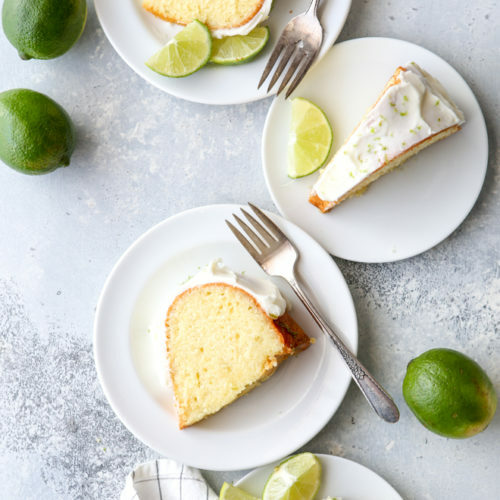 It’s the #1 recipe on my site for a good reason. 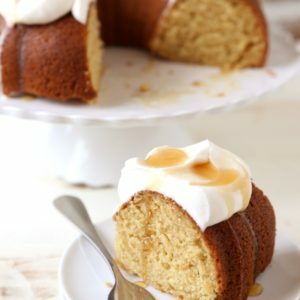 But if you don’t have time to build a whole layer cake, or if you prefer the single-serving packaging of cupcakes, then this recipe is for you! I haven’t scaled down the recipe, so be warned that it makes a big batch of cupcakes. You’ll thank / curse me later. 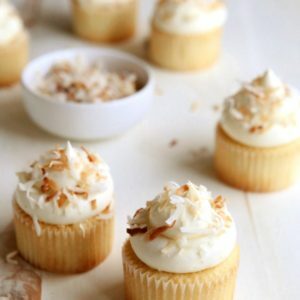 Light and moist cupcakes with the ultimate coconut flavor. Preheat oven to 350 degrees. Grease a muffin pan with non-stick cooking spray or line with paper cups. In a small bowl, whisk together the egg whites, 1/2 cup of the coconut milk, and coconut flavoring. In the bowl of a stand mixer fitted with a paddle attachment, combine the flour, sugar, baking powder, and salt. Add the butter and remaining coconut milk and combine on low speed until moistened. 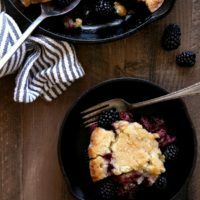 Increase speed to medium high and beat until light and fluffy, about 2 minutes, scraping down the sides of the bowl as needed. 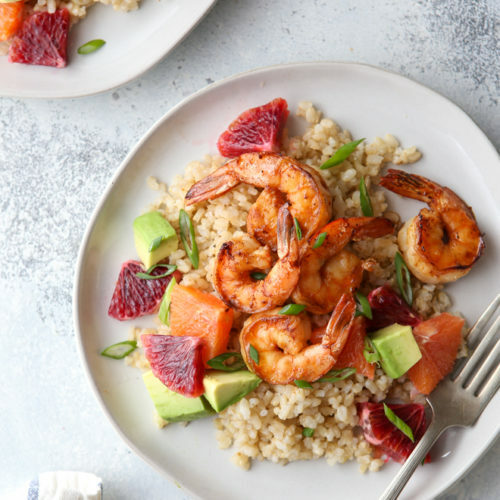 Add the egg white mixture in 3 additions, scraping down the sides of the bowl and mixing just long enough to incorporate between additions. Fill the muffin cups 2/3 full with batter. 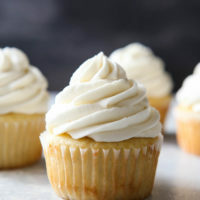 Bake until cupcakes bounce back when lightly pressed and just begin to turn golden, about 13-15 minutes. Let cool in the pan 5 minutes, then transfer to a wire rack to cool completely. Let pan cool to room temperature, then repeat with remaining batter. Beat together the butter, cream cheese, and powdered sugar on medium high speed until light and creamy, about 2-3 minutes. Add the coconut flavoring and enough coconut milk (or regular milk) to reach a spreadable consistency. Mix until smooth. 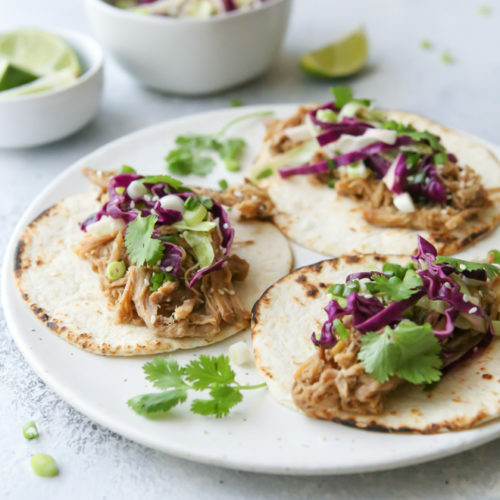 Spread the shredded coconut on a sheet pan. Toast in a 350 degree oven until golden, checking every 2 minutes. Watch it carefully, the coconut will burn fast. Let it cool completely. 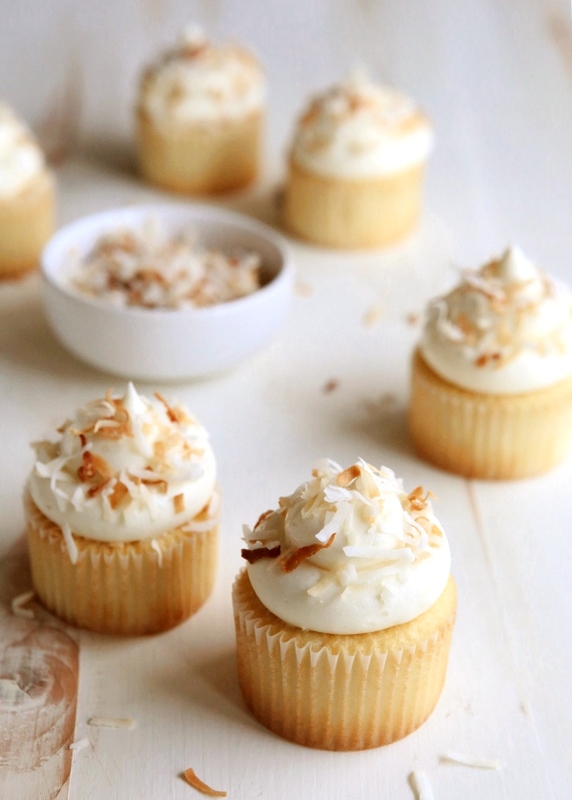 Frost cupcakes with buttercream and sprinkle with toasted coconut. Store cupcakes in the fridge, for up to 5 days. 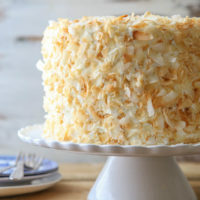 Recipe adapted from my Southern Coconut Cake. These look so incredible! Omg my mouth is watering! I just said yum outload, they do look damn great. those do look damn good! gorgeous gorgeous! what sweet little treats. Triple coconut?? I am sold! 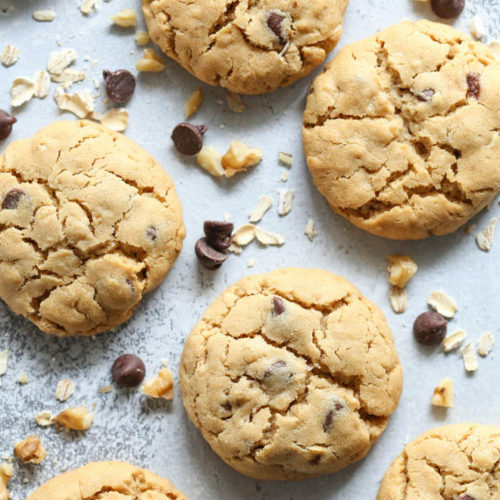 These look incredible, I can't wait to try them when get back home to my kitchen! 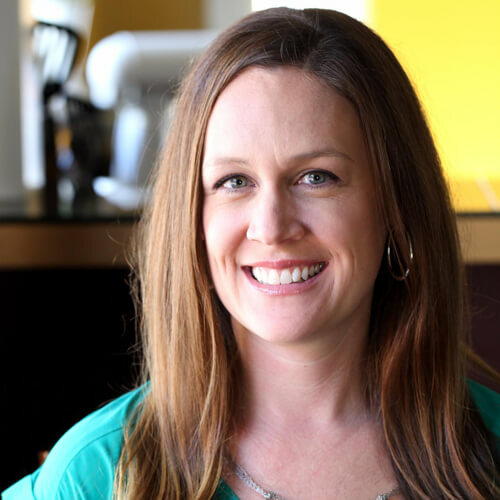 Your blog is absolutely brilliant! 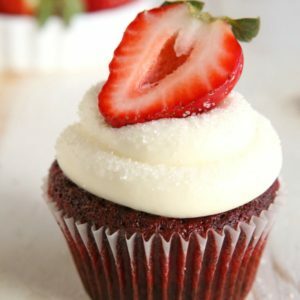 These cupcakes are absolutely gorgeous! 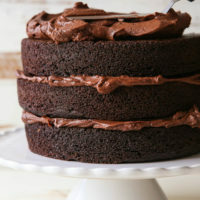 I have these in the oven right now! I blame being 7 months pregnant for the desire to bake at 10pm! Oh my goodness my house smells amazing! 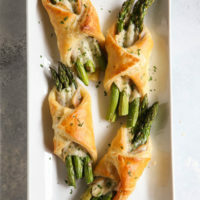 My husband would go crazy for these, I must make them for him soon! So, I’m going to need at least a dozen of these. Love the coconut, friend! Also, missing you!! Impossibly adorable!! And how did you know that coconut is my weakness!? !